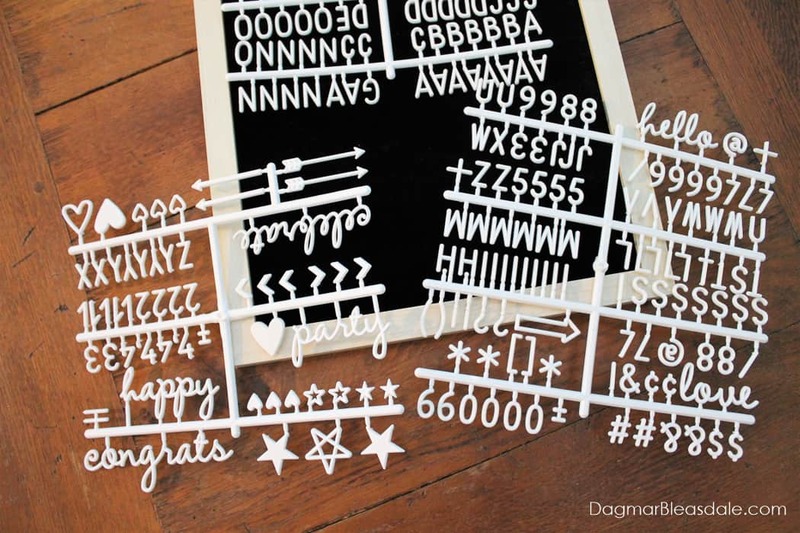 Welcome to another Dagmar’s Home link party. If you are here for the first time — hello, hello, and a happy Fourth of July to you! 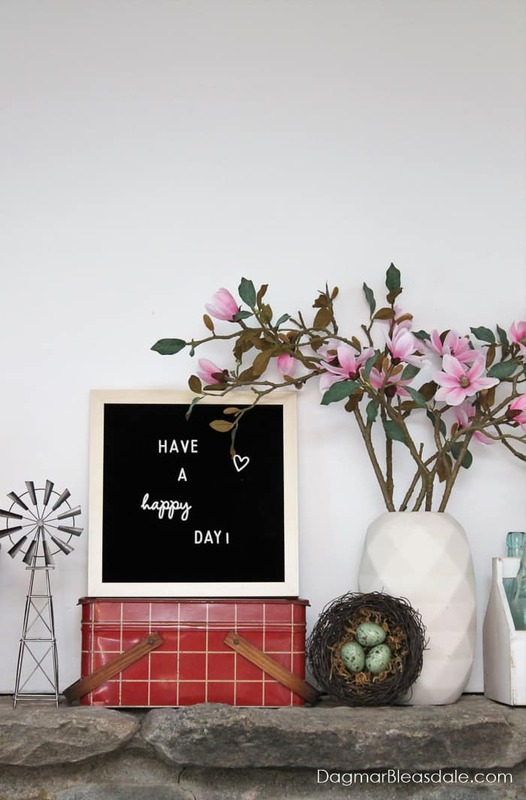 I found a changeable letter board on clearance at T.J. Maxx! 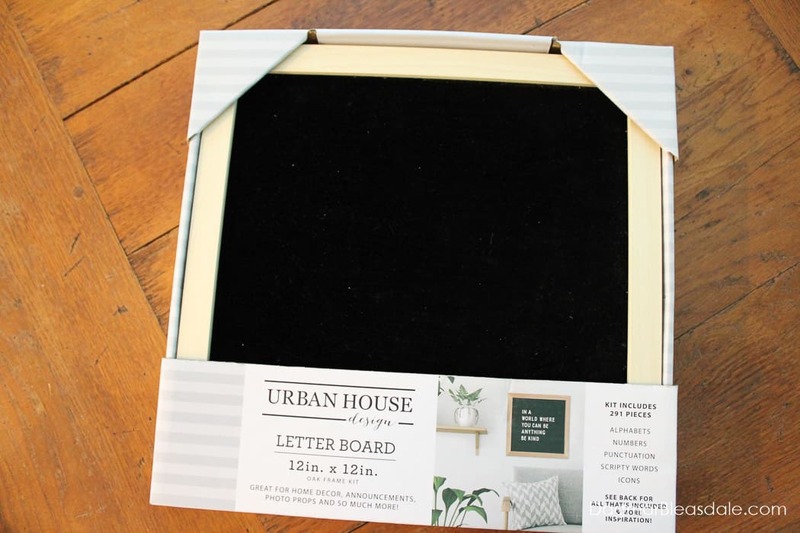 These felt letter boards are so popular right now, and I see them everywhere on Instagram. I can’t wait to write fun messages and change things up all the time. This post contains affiliate links for your convenience – read more. You can click on the pictures to buy the product. It was so hard again to pick just one post to feature — you are all so talented and inspirational! There were so many wonderful ideas, from printables to recipes to DIY to home decor posts, and even bacon date jam. 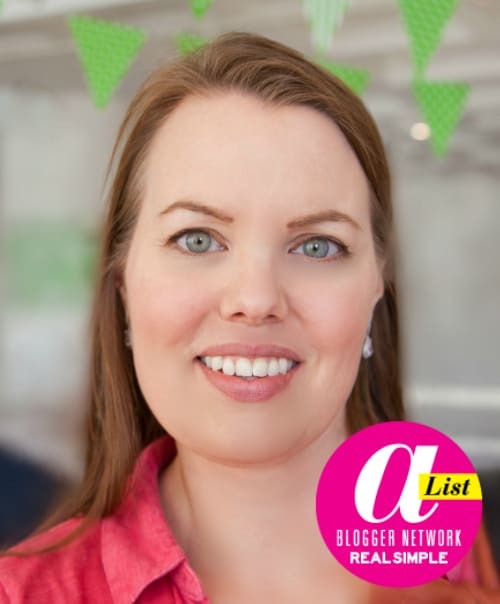 I decided to highlight Lindsey’s post, who blogs at Repurpose & Upcycle. 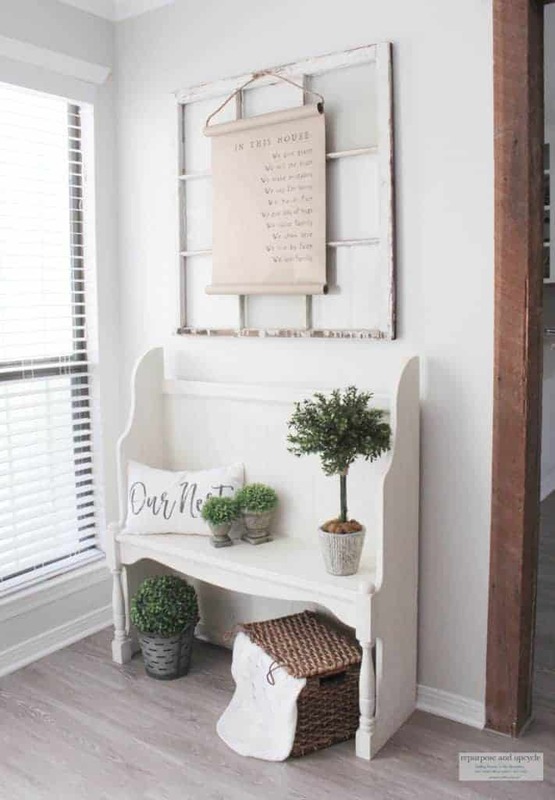 She wrote about upcycling a hutch into this cute bench, and then creating this pretty entryway. I love everything about it! Thanks for sharing your post with us, Lindsey! 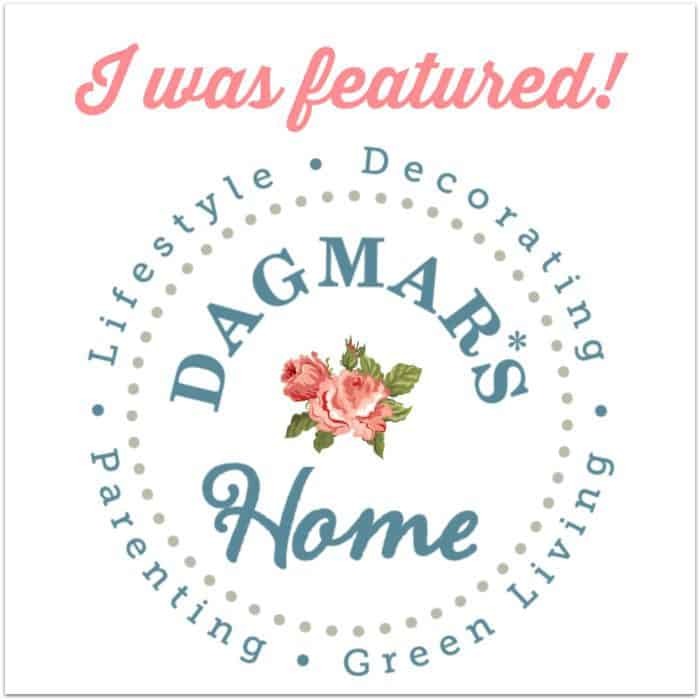 Feel free to add this “Featured” button to your post or blog. Amazon Prime Day 2018 Deals You Don’t Want to Miss! 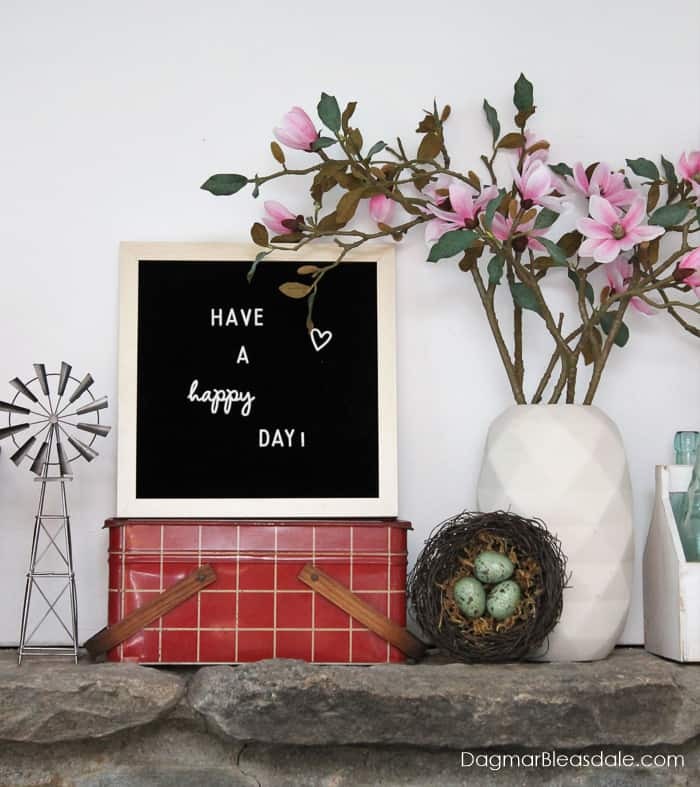 Dagmar, your VIGNETTE with the felt board is really cute. Oh my goodness, what a great idea to make the top part of a hutch into a small bench! Pinning! 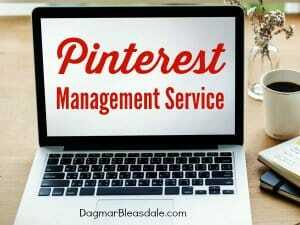 Thank you for hosting and featuring the creativity in blogland. Thank you Dagmar for your 216th Link Party. have a great week.